I've recently discovered I may have a wheat intolerance so decided to try and cut it out where possible. I mean, let's face it, I've been lactose intolerant for years now...do I still eat cheese? Of course I do. Do I still have dairy almost daily? Yep! 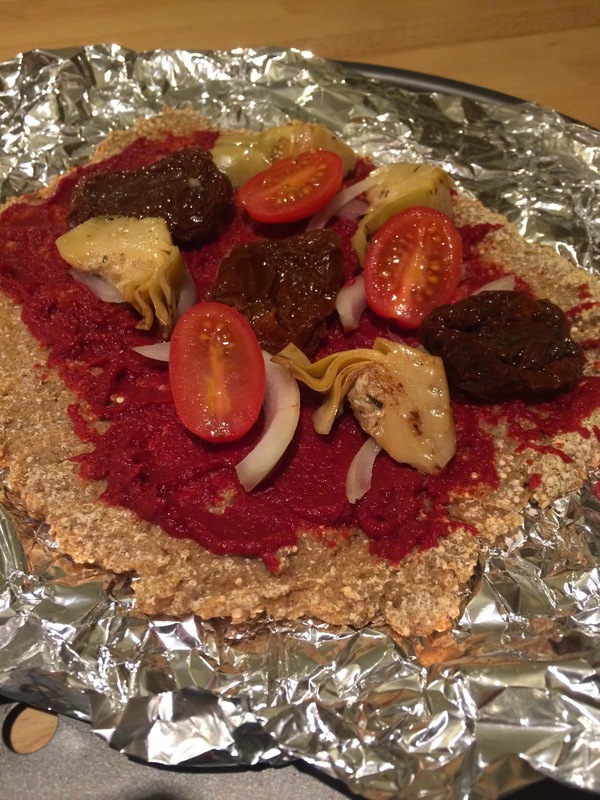 I don't have the willpower, even if it does make me ill.
With this whole wheat thing going on right now and a real craving for a pizza, I thought I'd try one of Deliciously Ella's recipes - a quinoa base pizza and throw my own topping on there. I opted for tomatoes, sundried tomatoes, artichoke and mozzarella on top of a puree and herb paste - a really great mix. I'm always looking for healthier alternatives - ones that leave you feeling lighter rather than crazy stodgy and in need of a 7pm power nap to get over your dinner. This one is one of those healthy alternatives. One you feel good about eating. 1. Your quinoa needs soaking for around 8 hours. You can either do this overnight or before work (if you did it at 7am it would be ready by 3pm at the earliest). To soak the quinoa, pour it into a larger bowl and cover with water. It needs to be covered by at least a couple of centimetres. 2. Once your quinoa is soaked and you're ready to make your pizza, preheat your oven to 180-190c. 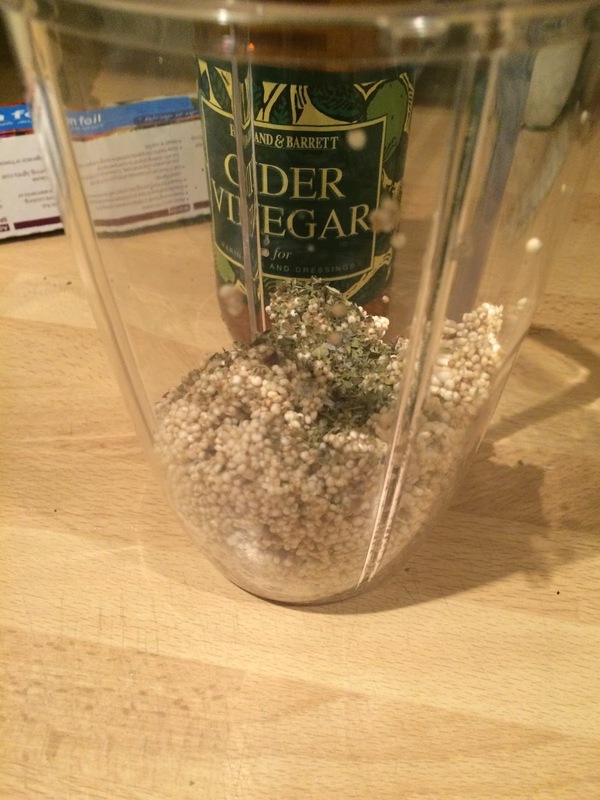 Drain any water left with the quinoa and then add your quinoa to a blender/food processor with the apple cider vinegar, herbs, chilli and salt. 3. Blend your mix for a few minutes until a dough forms. Line the bottom of a pizza tray or baking tray with olive oil (I used foil with olive oil on top) and pour the mix onto the tray. 4. Bake the dough for 15-20 minutes until the base if firm. It will cook REALLY fast, so keep an eye on it. 5. Remove the pizza after 15 minutes and add your toppings. You can have your toppings cold if you like - if this is the case and you prefer them raw, leave the base in until firm then add ingredients. What toppings would you add? What are your favourite pizza alternatives? Have you tried my skinny pizza or my yeast free pizza? They're both great alternatives!